Come join us for an evening of conversation with five incredible women working in different ways to shape the future of Boston's art community. We’ve invited speakers who are creating spaces, opportunities, and media to build a more supportive and equitable arts culture for the city for a moderated discussion about their work, their perspective on the city’s art ecology, and imagining potential futures for the city’s art landscape. 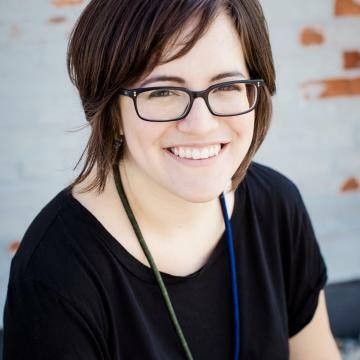 Kara Elliott-Ortega is an urban planner in the arts focusing on the role of arts and creativity in the built environment and community development. Prior to becoming the Chief of Arts and Culture, she served as the Director of Policy and Planning, where she worked on implementing Boston Creates, Boston’s ten-year cultural plan. She also worked at the intersection of arts and planning around the City, including supporting cultural districts, creative placemaking, and the development of cultural spaces for artists. Maria Garcia is the senior editor of The ARTery, WBUR's Arts and Culture Team. She oversees WBUR's arts coverage for the radio and the web. Maria came to Boston from New York City where she earned a Master of Arts in journalism, with a focus on arts and culture reporting from Columbia Journalism School. Catherine T. Morris Founder, Curator & Executive Director of BAMS Fest and Manager of Public Programs at The Isabella Stewart Gardner Museum. Ms. Morris has spent 15 years planning, supporting and producing events and programs for her community. Boston Art & Music Soul (BAMS) Fest will become a pipeline to arts and culture ecosystems that permeate the streets of where we live, and can positively impact the livelihoods of our youth, families, seniors and future generations. Hoodgrown Aesthetic tells the story of 21st-century artists of color living in Boston and abroad. Every Monday, hosts Amber and Daughter of Contrast put their uncensored spin on art news and history. Through artist and non-profit shoutouts, interviews with artists, activists, educators, and more, HoodGrownAesthetic confronts the eurocentricity of the art world while embracing the art, work, and history of black and brown people. Hosted by Ariana Lee and Palace Shaw, The Whitest Cube is a podcast about the exclusionary history of art institutions from the perspective of people of color.